Sometimes the thought of baking after work just feels like such a hassle! I’ve got things to do like nap and read. I have songs to blare while tapping my toe. I have dinner to eat and cocktails to make. I’ve got phone calls to make in the back yard. I need to hug Elliot as much as possible. I’ve got stuff to do! But Monday, I pushed through it. I made these right after work, and I loved it! Sometimes you just have to postpone major napping plans and just roll out dough and cross your fingers that it’s worth it. Here are the facts. These taste like pie! They are rustic-looking. They aren’t packaged in a pair. They wear rainbow sprinkles well, so feel free to sprinkle these and call them birthday cake. They are delicious. Make crust. Place graham crackers in a food processor and process until fine crumbs. Or place grahams in a sealed bag and crush with a rolling pin. Whisk the graham cracker crumbs, flour, and salt in a large bowl. Add the butter and toss with your fingers until coated. Using a pastry blender or your fingers, cut the butter into the dry ingredients until no butter pieces are bigger than a pea. Whisk the egg yolks and milk together and pour over the flour mixture. Knead until it comes together. Add another splash of milk, if needed. Divide dough into two portions and pat into disks. Wrap in plastic wrap and chill for 1 1/2 hours or overnight. Assemble the pop tarts. Preheat your oven to 375°F. Line a large baking sheet with parchment paper. Cut a piece of parchment paper into a 3 by 4 inch rectangle to use as a guide, and roll out one of the disks of dough until about 1/8 inch thick. Using a pizza cutter, cut out 6 rectangles using your parchment paper guide. (You may need to roll out scraps to get all 6 rectangles.) Using a spatula carefully place the rectangles of dough on the prepared baking sheet and pop in the fridge. Roll out the second disk of dough, and cut out 6 more rectangles. 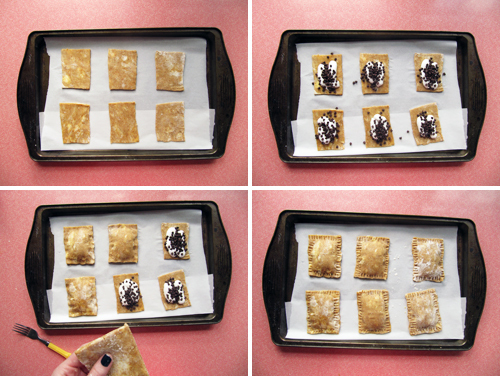 Remove the baking sheet from the fridge. Whisk together the egg and water to make an egg wash. Brush over all 12 rectangles of dough. Divide marshmallow fluff between tarts*. Sprinkle with chocolate chips. Top with the remaining 6 rectangles egg wash down over the filling. Gently press the edges together. Crimp with a fork. Brush the tops of the pop tarts with more egg wash and poke with a fork a couple times in the center. Bake for 20-25 minutes, or until golden. Cool on a wire rack. Top tarts. Melt one cup of chocolate chips and spread over the pop tarts. Serve! *I did this by transferring the fluff to a sandwich bag and snipping a corner. I piped it in two rows on each tart. *Don’t be scared if they bake up like this. You’re going to cover up the mangled top with chocolate. And they’ll be so tasty. I promise! Consider them rustic, ya know? these are the best kind of rustic! I love that there are grahams in the pastry! Thanks, Cindy! And yeah man. Grahams everywhere! They look great. I love that they are rustic. I think rustic things taste better. 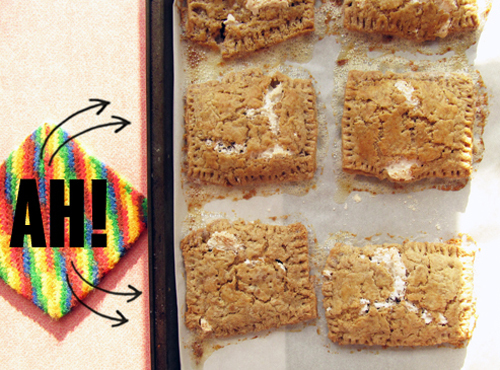 And who doesn’t love a homemade Pop tart? They’re the best! For real! They’re just hand pies basically! Hurray! Did they take you forever and four hours like they did for me when I made poptarts? They look DELISH! They didn’t take tooooo long, but I made the dough the night before, and only made 6. Yours looked awesome by the way. Guuuurl, let’s put a ring on it. Haha! You make me laugh Megan! Oh. Oh dear. 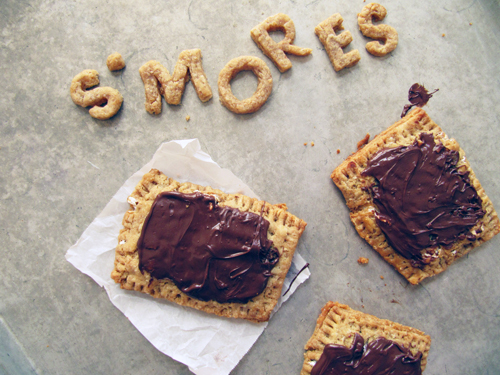 Waistline, meet s’mores pop tarts. 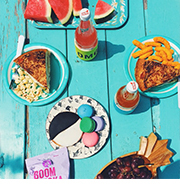 Pop tarts, meet waistline. obviously this gets added to the never-ending list of s’mores treat formats i need to make! p.s. made your chocolate chip scones and added some fresh cherries. yummmm! And I love that you added cherries to the chocolate chip scones. That sounds so perfect! Thanks, Nicole! I’ve always wanted to be a s’mores ambassador! Yay! Oh these little things look divine! 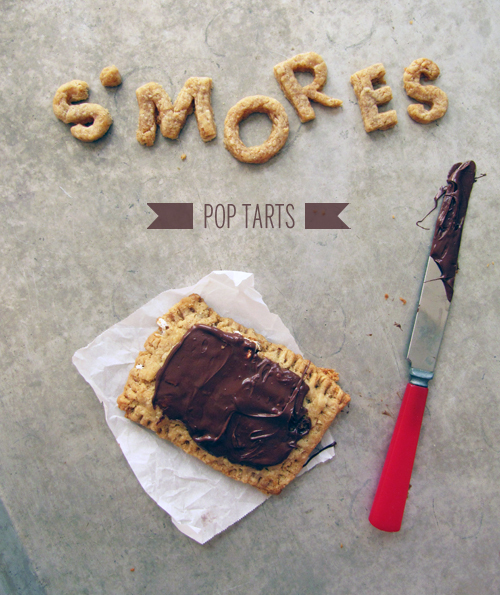 I think I need to make them asap, I haven’t indulged in a single smore this summer – that’s a tragedy. Hell yeah! Can’t wait to hear what you think! S’mores is totally the best pop tarts flavor, hands down. And these look wacky good. For real! And yeah man. These are like s’mores pie business. 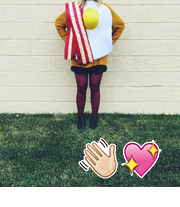 Um, You made pie crust into text. +1000 points of awesomeness. Also this means more punchdancing. Yes! Pie crust type points! a good taste | rhinestones of wisdom.